Do musicians know a song is going to be a hit when they are making it? Did Icon know people would be obsessed with the Sauvatage graphic when it was originally released? The answers are yes and of course. 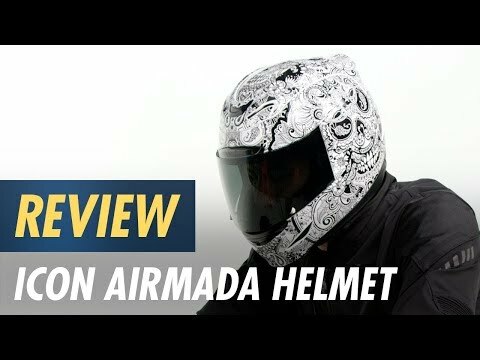 The Icon Airmada Sauvatage 2 Helmet is the banger you've been hounding Icon to make again. Get yours while the getting is good. The Airmada is Icon's highest evolution of helmet craftsmanship, and you’ll realize this from the moment you take off. With four shell sizes and 5 dual-density EPS liners sizes in the rider-preferred oval head form, the Icon Airmada offers a personalized fit without an ounce of wasted space. The shield system has also been completely redesigned to give riders the best view of the road ahead. The new Rapid Release shield removal system allows you to change ICON Optics in a matter of seconds.